Call or Text Listing Agent - Polly Garrett - The Real Estate Center of Spearfish 605-645-2331 for more information. Live life surrounded by the beauty of nature in this 4 bedroom Mountain Plains II home. 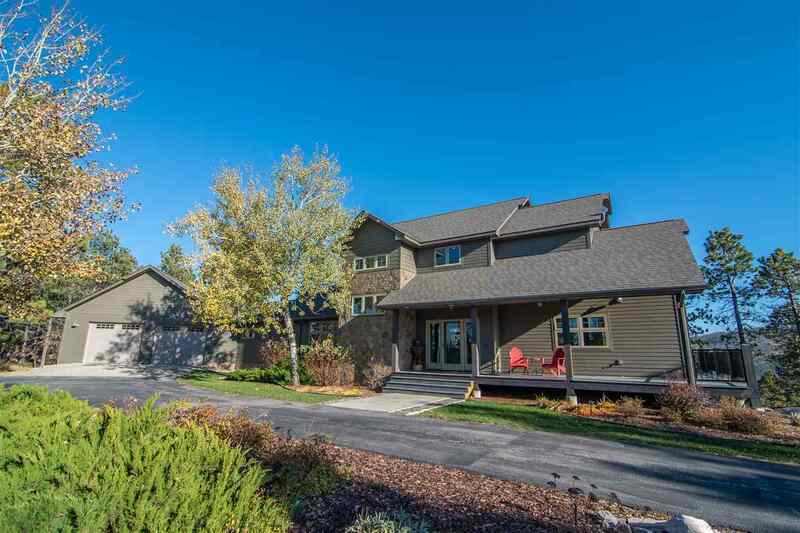 Perfectly positioned to take in views of Spearfish Mountain from the kitchen sink and back deck, this home boasts a grand cook&apos;s kitchen with top quality appliances, finishes and design. It features a private and well appointed master suite with it's attached workout /office /nursery and laundry. Entertaining and family gatherings will be a joy with the inviting guest suite, welcoming living areas and outdoor living spaces with easy access to Forest Service property for hiking and biking. The welcoming front porch becomes a maintenance free wrap around deck offering ample space for entertaining, sipping coffee in the morning or stargazing at night. Storage is abundant in the home including a large walk-in pantry and convenient mudroom off the garage. © 2019 Northern Black Hills Association of Realtors All rights reserved. Information deemed to be reliable but not guaranteed. The data relating to real estate for sale on this website comes in part from the Broker Reciprocitysm Program. Real estate listings held by brokerage firms other than The Real Estate Center of Spearfish are marked with the BR logo and detailed information about them includes the name of the listing brokers. Listing broker has attempted to offer accurate data, but buyers are advised to confirm all items. Information last updated on 2019-04-24.